Not-so-serious gaming: How an old-fashioned game and some new-fangled software might change the way you embed interactivity in eLearning. 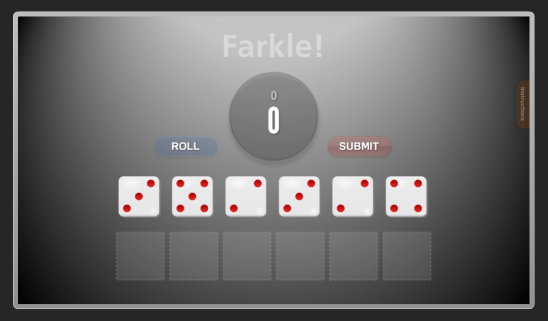 Farkle is a dice-based game with almost as many variations as there are players in the world. Its beauty lies in the seeming paradox between the simplicity of its rules and the complexity of the players’ decisions. With virtually every turn, players are faced with the age-old conundrum, elegantly summarized by The Clash, “Should I stay or should I go?” They must decide whether to keep the points they have accrued or risk it all in the hopes of earning more. 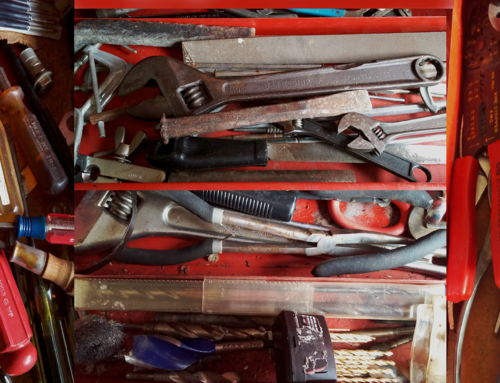 The equipment is commonplace – six dice, paper and pencil. The play is easy enough – a player rolls six dice and chooses which dice to keep and which to roll again. The scoring is addictive – earning 1,000 points or more in one turn keeps you coming back. The old, the young, and the in-between can all play and can play with equal odds of success against one another. It was the perfect little game for us to explore Storyline. Learner motivation: Learners who are given options are likely to be more engaged with the content and likely to spend more time exploring it. All the branching, triggers, and variables offer an opportunity for learners to interact with the content and/or affect the presentation of the course. In the case of Farkle, several around the office played it as a 1-player game and then immediately played it as a 2-player game, playing both the 1st and 2nd player roles. The versions aren’t different in content, but having been presented with a choice, players wanted to explore both options. The result – they spent twice as long on the game. Increased playing time with a dice game isn’t especially important, but getting learners to double their time in a training module could improve its efficacy. Content retention and application: Learner motivation is closely related to content retention – more engagement and time spent in a course means more opportunity for absorption of material. Additionally, learners who interact with content and are then given feedback have the opportunity to process information in more than one way. Rather than simply listening and viewing, they are manipulating and applying. The goal is to help the learner conceive of the skill, concept, or information in as many ways as possible; Storyline makes it (relatively) easy to accomplish this. Self-directed learning and non-linear courses: Self-directed learning is advantageous for learners because they can focus their time and energy on the content most critical to them. Allowing the learner greater flexibility in how he/she accesses the course content also makes it more likely those learners will use the course as a resource even after training, which adds value to the course. That being said, it is also still possible to restrict a user’s movement throughout a course in Storyline, so you can require them to view certain slides before continuing. Farkle is non-linear in that a player can choose the number of players at the very beginning. It is a simple example of branching, but it shows how easy it can be to set a choice with different outcomes. The learner internalizes the content through trial, feedback, and re-trial. Learners can explore the outcomes of poor or incorrect decisions in the safety of an eLearning course. In fact, sometimes the learner gains more understanding from the wrong choice than from choosing the correct (safe) option. In Farkle, players can play. With each round, their understanding of the risks versus the benefits is refined. Even young players or those unfamiliar with calculating probability quickly learn that it’s riskier to roll with only one die left rather than several, though either could have positive or negative consequences. Players are given immediate feedback which they can file away for future reference. The next time they are faced with a similar situation, they will likely make their decision based on the previous outcome. Feedback is critical to successful scenario-based learning. 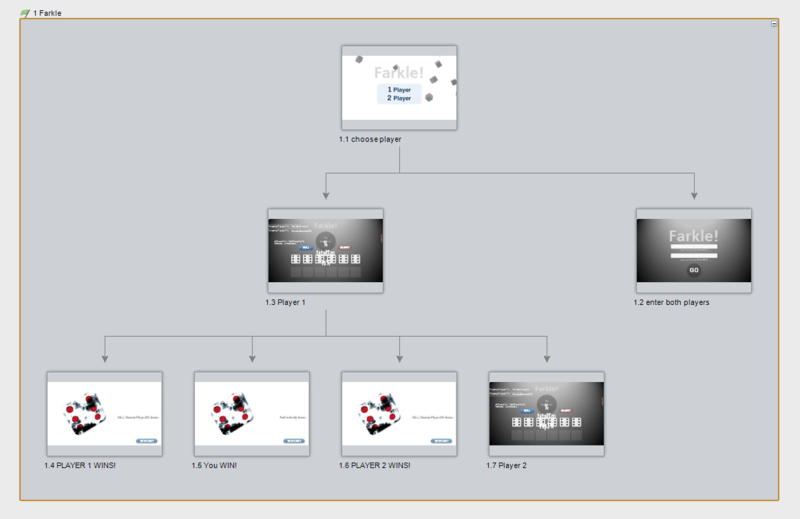 In Storyline, you use triggers to provide feedback. It works with a simple “If (this happens) then (that happens)” foundation. 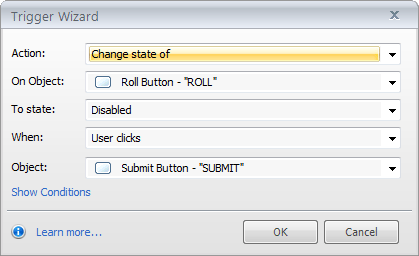 The trigger wizard uses drop-down menus to help you program the response to triggers (a popup window, overlay, another slide, sound, even a video). You can further refine triggers with conditions that offer more control of how and when a response is triggered. Categorizing content: Farkle had simple categorization (the player only had to sort valuable dice from worthless dice) but a more sophisticated use of this same principle makes a valuable learning interaction. Categorizing or sorting requires learners to process information in relationship to new or previous knowledge, which helps move the content from working memory to long-term memory.